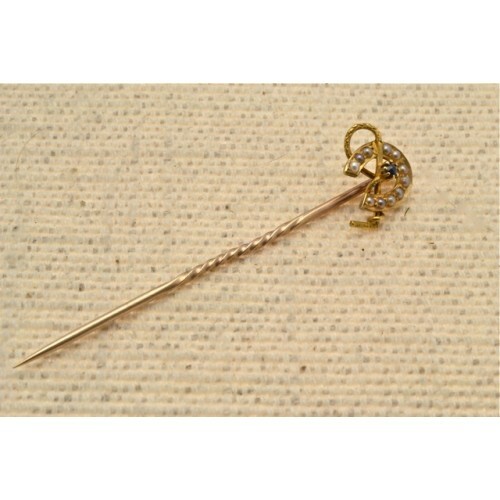 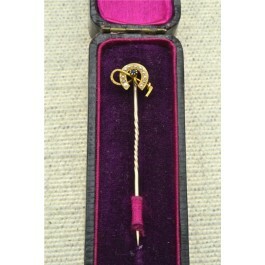 15ct gold tie pin set with seed pearls and a sapphire. 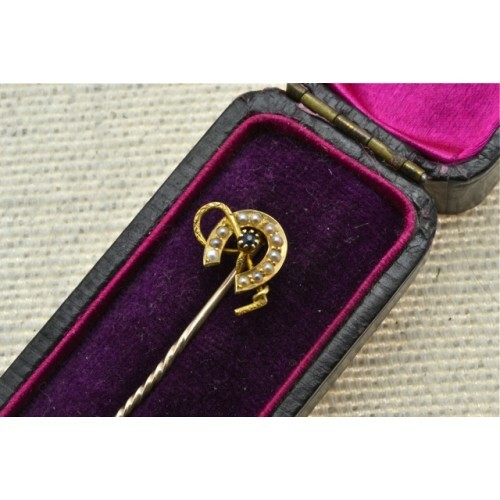 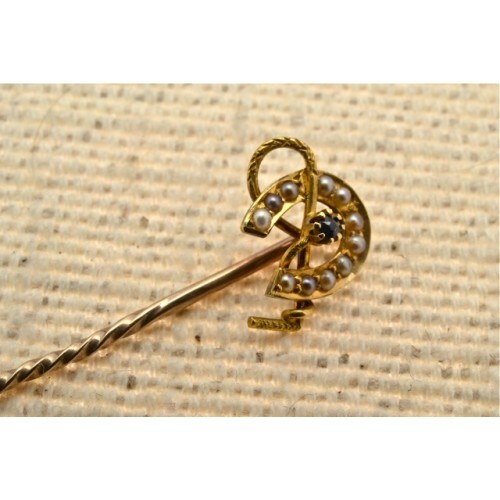 Antique 15ct gold tie pin, having a seed pearl set horse shoe with a riding crop set with a single sapphire through the centre. 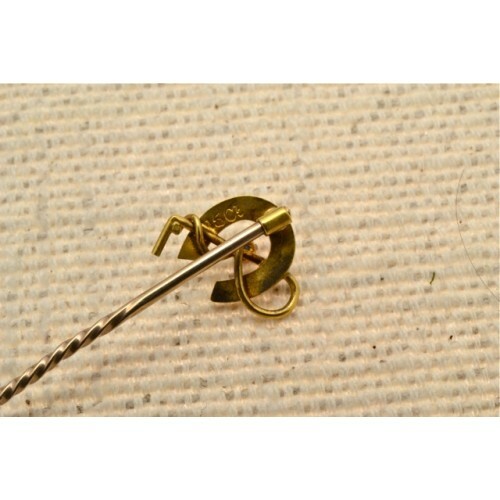 Fine engraving on the crop.